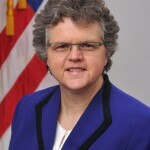 Currently viewing the tag: "advocacy"
This blog spotlights Leanne Miller, an elder justice advocate and Ageless Alliance volunteer who was touched by elder abuse when her mother who has dementia was financially exploited by a family member. Leanne worked diligently to expose and end the abuse her mother faced as well as pursue justice through prosecution. After living through this incredibly traumatic and painful experience, she developed a passion for raising awareness of elder abuse and using her story to help others. 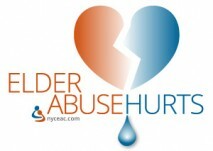 On World Elder Abuse Awareness Day, we who work on elder justice every day focus our collective efforts to share our knowledge and passion as broadly as we can. 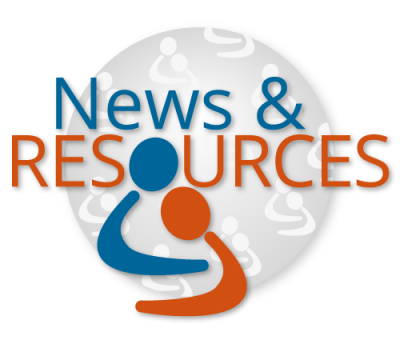 We lift our voices far and wide to combat abuse in all its forms by spreading information and awareness about the abuse, neglect, and exploitation of older adults. Risa Breckman, NYCEAC's Director, discusses multidisciplinary responses to elder abuse and highlights severa approachesl that are having national impact. She also recommends ways to improve and strengthen multidisciplinary approaches in the coming years. 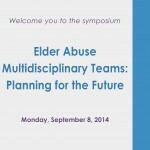 We are excited to announce the release of a monograph that showcases which resulted from a day long Multidisciplinary Team (MDT) Symposium entitled, Elder Abuse Multidisciplinary Teams: Planning for the Future, attended by elder justice experts and funders from across the country. Held in New York City in September 2014, the symposium focused on highlighting the value of MDTs and ways to sustain and replicate them nationwide. 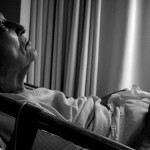 An article in The Atlantic highlighted several tragic stories of elder abuse and neglect in California that resulted from family caregivers receiving support from the publicly funded In-Home Supportive Services program (IHSS). In this blog we explore four key limitations of these programs that can lead to elder abuse, neglect, and exploitation and identify ways that the elder justice field can help to protect these beneficiaries.